Do you like coconut? I know many people don’t like it like me. There are lots of ways to use coconut in your recipe.I have read lots of articles where it is recommended to eat coconut oil instead of olive and vegetable oil as it helps in lose weight but people are not use to it. In some part of India people eat coconut oil but I have seen majority of people in US don’t like to have this oil in their regular food. In some recipes I like to have coconut flavor so use coconut milk in those cases. 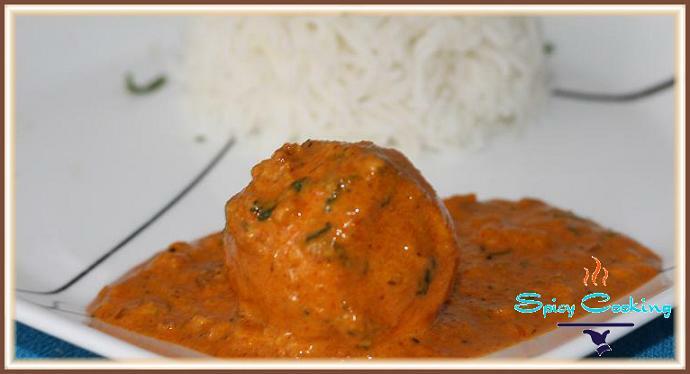 Here is a delicious egg coconut recipe for you, can call it malai egg. You can make this spicy curry with various ingredients like shrimp, vegetables and chicken. 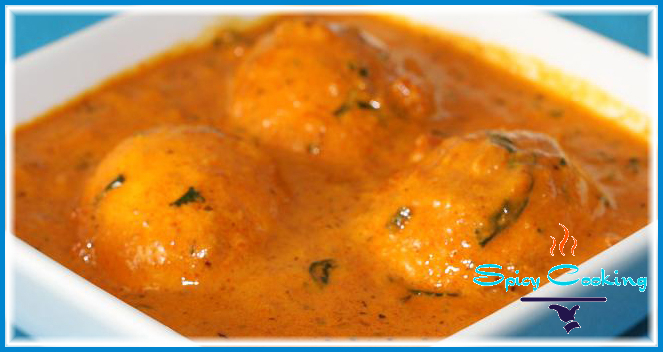 If you plan to go for vegetable malai curry then replace egg with potatoes or cauliflower. The recipe is for two to three people. Drain extra oil and keep those eggs aside. Add whole garam masala to this hot oil and saute it for one minute in a low flame. Add chop tomato and fry it till oil comes out of the masala. Add coconut milk, water slowly and stir constantly. Then add salt, egg masala and fried eggs to this gravy. Allow it to cook till the gravy if formed in right thinness in a low to medium flame. Now the egg curry is ready to serve, garnish this with chopped cilantro and serve hot with rice, chapatti, paratha or naan. Hope you will enjoy this dish.